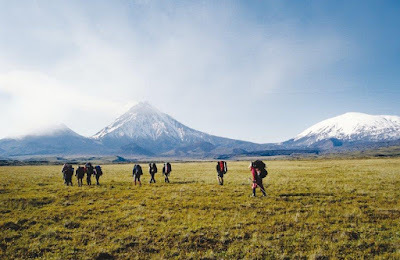 The Russian Far East remains one of the last unexplored places on Earth – so if you are looking to leave the world behind, you can choose one of the following three trips that visit the remote Kuril Islands, one of the most difficult places to reach on Earth. A new cruising expedition that explores one of the most geologically active and biologically rich parts of the planet: the large number of live volcanoes on the Kamchatka Peninsula and along the Kuril Islands has earned this part of the world the reputation of the Pacific's 'Ring of Fire'. 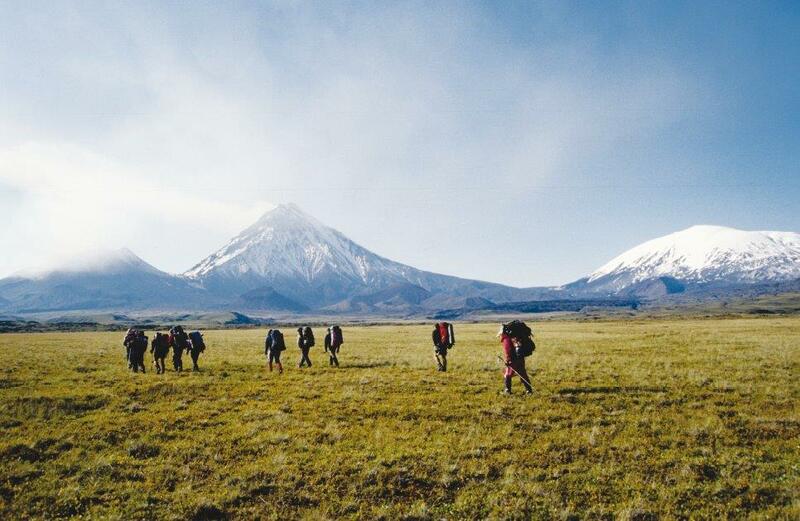 The trip focuses on the region's extraordinary biodiversity, spending a week at the remote Kuril Islands, which stretches across the Bering Sea between Russia and Japan. Travelling to the islands is notoriously difficult, with access restricted for international visitors and locals alike; those lucky enough to get here will have virtually all to themselves a land of stunning bays and snow-capped volcanoes, approximately 40 of which are still active. The first landing at the Kuril Islands promises to be a highlight: uninhabited Atlasova, the chain's northernmost island, is home to the archipelago's tallest volcano, which forms a quasi-perfect cone rising steeply out of the sea. Fire meets ice at the Kamchatka Peninsula, the most volcanic area of the Eurasian continent – the land here is still being formed! Overall Kamchatka has 159 volcanoes (six of which are listed as UNESCO World Heritage sites) so there is almost always one active cone erupting. This remote trek is designed for those who have been everywhere else and prefer to get well off the beaten path. Discover a wilderness of stunning bays, sculptural stone birch forests, boiling geysers and mineral hot springs, snow-capped fuming volcanoes and crater lakes as blue and clear as the sky. Highlights include the Mutnovsky and Gorely volcanoes with their spectacular chain of craters and spotting brown bears – Kamchatka has the highest concentration of bears in Russia. The trip joins in capital Petropavlovsk-Kamchatsk, the second-largest city in the world which cannot be reached by road – despite its strategic importance, there are no roads connecting Kamchatka with other parts of Russia! This journey presents the unique opportunity of travelling down the entire coastline of the Russian Far East along Koryak and Kamchatka – eight time zones away from Moscow, this is where the day begins in Russia! A land rugged and off the beaten track, the peninsula's isolation has helped protect a healthy and stable wildlife population, which has adapted to this extremely harsh environment. Despite the short growing season, over 1,000 species of plants thrive here and you can even find the southernmost expanse of arctic tundra in the world. Early autumn is one of the best times to discover the region's wilderness: the brown bears will have fed extensively on summer berries and will be concentrated on the rivers and creeks looking for salmon; Olga Bay, part of the world famous Valley of the Geysers, is frequented by large numbers of friendly grey whales; while the reindeer and mountain sheep will be feeding in preparation for the harsh winter. For more information and bookings please visit www.worldexpeditions.com or call 1300 720 000. World Expeditions' policy ensures there are no local payments. Prices do not include international flights, however these can be arranged on request. Tailored private departures are available for most World Expeditions trips.